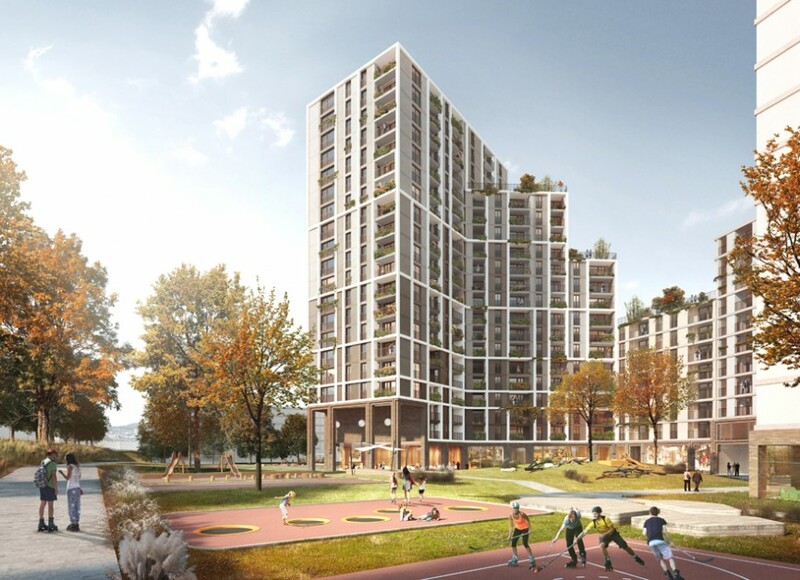 The residential high-rise building in the most central Viennese urban development area at Nordbahnhof is already the second building block that AllesWirdGut is setting in this district. 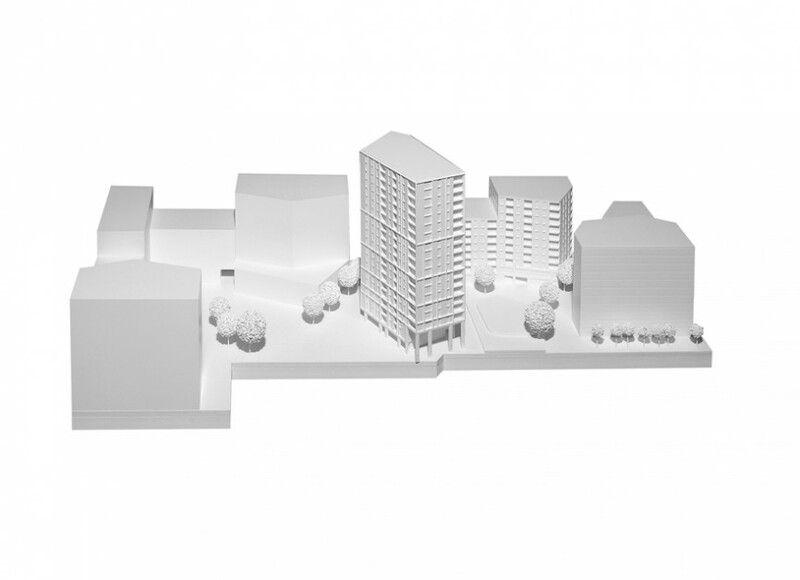 With clever arrangement and shaping, the building with around 340 residential units is larger than it looks. 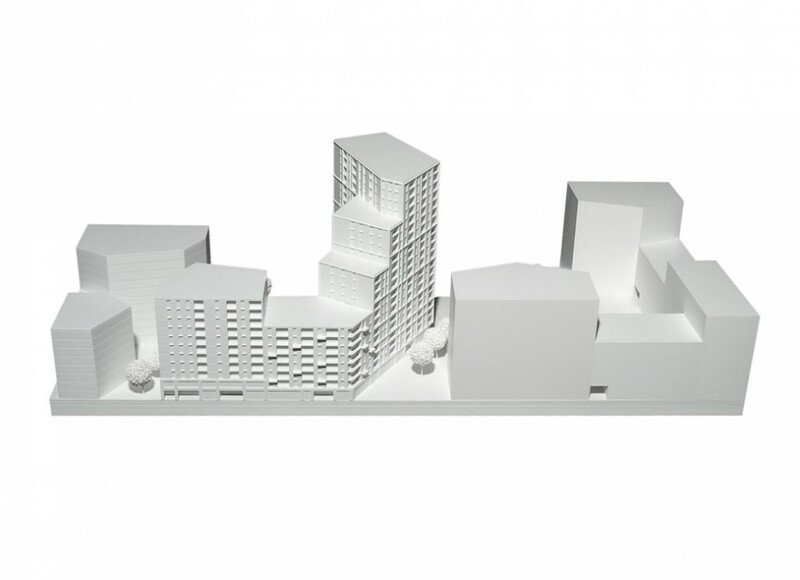 The result is a varied, slim form, which creates space and connects the high-rise with the city and the adjacent park. 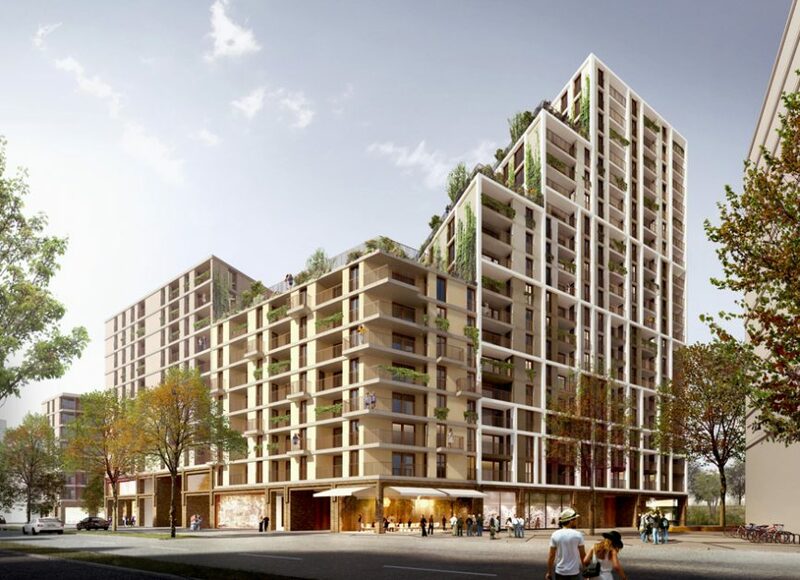 The structure of the new building concentrates on the edge around “Freie Mitte” of the Nordbahnhof area, in accordance with the urban planning concept, which results in a correspondingly high density with a high building mass. Due to gradations of the skyscraper in the direction of Nordbahnstraße and the buckling in the length of the building, the building is well inserted in the urban space and appears slender. Furthermore, the southern facade will be extended in favor of the sun orientation of the apartments and the northern part will be shortened. 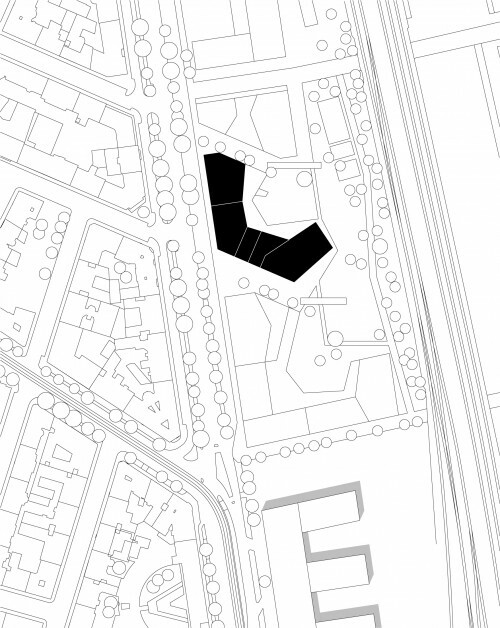 The building thus appears differently from every point of view - the entire expanse is skilfully concealed. Well-proportioned open spaces are an expansion of the green space of “Freie Mitte” and thus liven up their outermost edge. A central meeting point is the parking café on the Portico. 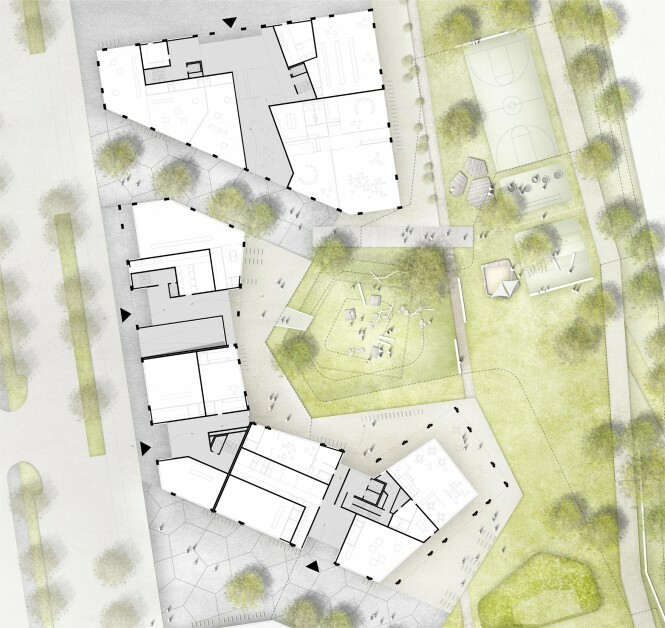 The ground floor is the seam to the city and animates both sides, street and park. Trade, service and gastronomy are located towards the outside and at the corners and ends of the building. 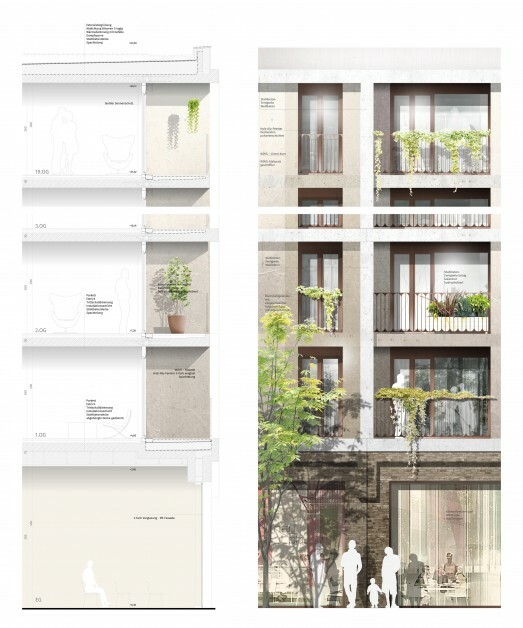 The gradations of the building allow a cascade of terraces and gardens – lively areas on the roofs, which make the nature relation of the concept visible.